We , the International League of Peoples´ Struggle, join the millions of people all over the world who are taking to the streets in support of the struggle for democracy and freedom, against the invasion of Afrin by the Turkish government in violation of international law. 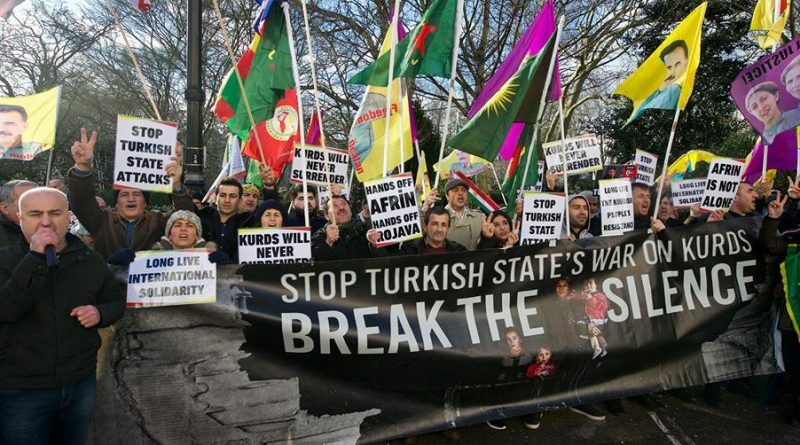 In this regard, we cooperate with ICOR in supporting the Kurdish liberation struggle and demanding: “Stop the fascist war of aggression on Rojava/Northern Syria! Afrin will live!” The Kurdish people and forces, and their allies from all groups of population in Northern Syria fight independently of all imperialist forces. The ILPS calls on all its global region committees, national chapters and member-organizations to initiate or participate in information meetings, cultural presentations, solidarity strikes, marches and mass rallies on the agreed worldwide day of action “Afrin will live!” on 21 March, the day of the Newroz festival, and to win numerous allies for this event. Newroz, the New Day / the Kurdish New Year celebration, is observed by 300 million people, by the Kurds and by many peoples of the Middle East. It symbolizes the will for resistance and the struggle for freedom and democracy. Every organization decides which form of action it will undertake or join. The alliance work, especially with the Kurdish forces themselves is of special importance. The struggle for democracy and freedom in Afrin is also our struggle!